Salt Lake City, UT. 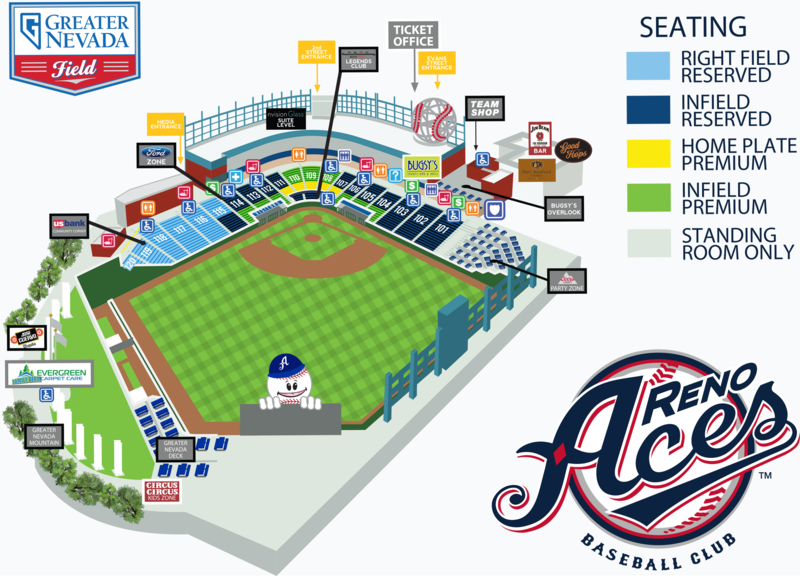 - The Reno Aces fell victim to the Salt Lake Bees in 10 innings on Wednesday night at Smith's Ballpark in downtown Salt Lake City. Matt Thaiss singled in the bottom of the 10th inning to score Stephen McGee, beating Reno, 4-3. Taylor Clarke shined in what is likely his second-to-last start of the season. The right-hander went 7.0 innings, allowed one earned run on four hits, but couldn't secure the victory. Offensively, Reno was led by Chris Owings. Owings went 2-for-5 with a home run and two runs scored. It was a pitchers duel through seven innings of play. The Aces entered the eighth inning trailing by one run with two chances left to mount a comeback. 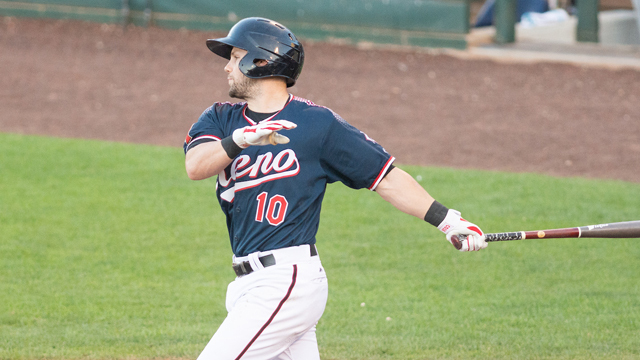 Reno responded with two runs in the top of the eighth inning. Owings got the inning started with a one-out single off Salt Lake reliever Akeel Morris. Owings scored just three pitches later on a Socrates Brito double (34) to tie things up at two. Following a Kevin Cron walk, and a wild pitch to advance the runners, Anthony Recker drove in Brito with a sacrifice fly into center field. Salt Lake answered back immediately in the bottom half to tie things up at three. Reno was blanked in the top of the 10th thanks to some nifty pitching from Jeremy Rhoades. In the bottom of the 10th, Salt Lake drew two walks from Silvino Bracho and ended the game with a Thaiss single into right field. The loss brings the Aces to a record of 68-67 with five games remaining in the regular season. Multi-Hit: Ildemaro Vargas is currently riding a five-game multi-hit game streak. The All-PCL shortstop has been here before. From June 26 through July 2nd, Vargas had seven consecutive multi-hit games - his longest streak of the season. During that span, Vargas went 15-for-33 (.454) with two doubles and four RBI. He has recorded 45 multi-hit games this season with his game-high coming on July 19 when the Venezuelan native had a five-hit night.